Shockingly, the digital transformation of the book world was the top subject at conferences held before the official start of the Frankfurt Book Fair today. Many book people outside the U.S. wanted to learn about the American experience, and talk about how the digital wave in their countries resembles and sometimes differs from the U.S. model. Speaking at the Monday conference, Jim Hilt, B&N's v-p of e-books, proudly noted that in the 18 months since B&N re-entered the digital world (it had shut down its earlier effort in 2003 because the market wasn't there yet), B&N has gained 25%-28% of the e-book market in "a very competitive landscape with a dominant player, Amazon." B&N continues to believe that its 700 stores are a strategic advantage, Hilt said, because "for those who are not tech savvy, being able to walk into a store and talk with one of our 40,000 booksellers helps." B&N employees took quickly to selling the Nook and e-books, Hilt said. "Initially it seems like a hurdle, but the minute we put a Nook into the hands of a bookseller, they got it." Booksellers, he continued, know how to sell great content, and "new technology is the delivery mechanism for great content. 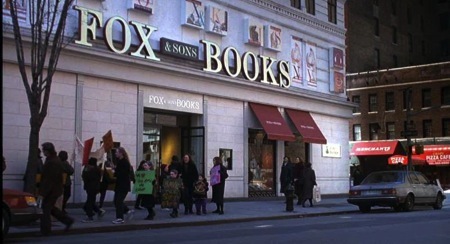 We were just asking the booksellers to focus on what they do best already, which is talk about books." Theresa Horner, B&N's v-p, digital content, said that an important reason for the company's success in digital sales stemmed from the stores' involvement in the development of the Nook from the beginning. "We had meetings weekly, and the store people were talking about how to sell it in the stores from the start." The company created training materials, videos, faqs and more for its booksellers. "It was all very coordinated," Horner added. In addition, as the Nook was developed, people from the stores helped to drive "content awareness in both formats," Horner said. As a result, B&N doesn't "think of printed books and e-books as distinct anymore. When we think of promoting books, we think in a totality." Hilt stressed that B&N's store will always be the "most strategic part of us as a bookseller" although its role is evolving. "The Nook space in stores has expanded, and we're continuously testing." The digital shift is happening faster than predicted, David Naggar, v-p, global Kindle content acquisition for Amazon, said. Digital now represents 20% of U.S. publishers' sales in dollars, and Amazon is now selling more Kindle books than print books in both the U.S. and U.K. "The transition is happening quickly and accelerating." Readers who have been Amazon customers for at least a year buy three times as many print and digital books after they purchase a Kindle, David Naggar said. Nook owners also "consume three times the content than before," Hilt said, usually "a combination of digital and print." "If they were buying print, they still buy print books and use the Nook to enhance their library. We've learned that the print book isn't dead." In addition, new owners of the Nook buy "a tremendous amount of content for three to six months and then move into a more natural state of usage." E-book sales are growing around the world. In one example, Naggar said that Santillana, Spain's third largest publisher, had put its backlist on the Kindle. Before doing so, the ratio of sales of Santillana backlist titles in the U.S. to its other markets was 1:15; since the Kindle move, the ratio is 2:1. Some 80% of Santillana's titles on the Kindle had at least one sale, Naggar said. "It's not just one backlist title driving sales." Stephen Page, publisher and CEO of Faber & Faber, said that because of e-books, the 85-year-old publishing house this year sold books in 20 countries where it had never sold a single book in the past. And Michael Tamblyn, executive v-p of content, sales and merchandising for Kobo, cited growth of 300% in sales of English-language e-books to non English-speaking countries in the past year. Tamblym also noted the importance of self-publishing in the digital world, which represents 7% of sales in North America and goes as high as 14% in Africa. The most popular self-pubbed categories are romance, erotica, thrillers, science fiction, mystery, horror and fantasy. The few nonfiction titles that sell well are in health, yoga and diet. Self-publishers experiment regularly, some daily, with e-book prices, Tamblyn said, but large publishers, particularly those who sell under the agency plan, tend to price the way they do for printed books. "They set and forget," Tamblyn said. "They don't look at the performance of specific books to see if there is room to maneuver." Connecticut is the latest state to push back against Amazon regarding the online sales tax issue. BusinessWeek reported that state officials "are not giving up on requiring Internet sellers to collect state sales taxes," despite indications from the online retailer "that it has no immediate plans to abide by the state's new Internet tax law." Earlier this month, Amazon wrote the Department of Revenue Services claiming it is not obligated to obey the law because it does not have a physical presence in the state. Connecticut will press Amazon for taxes the state alleges should have been collected "at least during the month or so when the new law was in effect and Amazon still had affiliations with websites in Connecticut through its Amazon Associates Program. 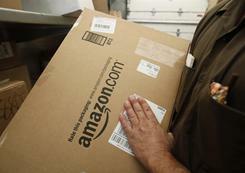 Amazon severed those ties in June," BusinessWeek wrote. DRS Commissioner Kevin Sullivan said this is just the beginning: "All we have to do is get in the door. Once we get in the door, there are some more opportunities that come.... They're not fighting against a burden on their ability to do business in the state of Connecticut. They're fighting to protect an advantage against everybody else who's doing business in the state of Connecticut." Amazon has launched its seventh publishing imprint, 47North, which focuses on science fiction, fantasy and horror. The imprint will debut with 15 books, including The Mongoliad: Book One, the beginning of a five-book, collaborative Foreworld series led by Neal Stephenson and Greg Bear. "What began as a dream of local literary force Kim Ricketts has been realized by Lara Hamilton, who took over Kim Ricketts Book Events before its beloved founder passed away," Eater wrote about this week's opening of the Book Larder, Seattle, Wash. 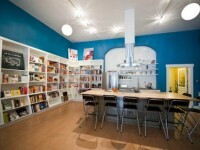 In addition to featuring a photo tour of the space, Eater noted that "local chefs, home cooks, food nerds and bibliophiles have been eagerly anticipating the arrival" of the new shop, which "evokes the same giddiness as San Francisco's Omnivore Books, but with the savvy addition of a kitchen and demonstration area." Hamilton told the Seattle Times that she wants the Book Larder "to be a place where people can gather and linger, where if we're not too busy, someone might offer you a cup of tea or something we've been cooking from a book." 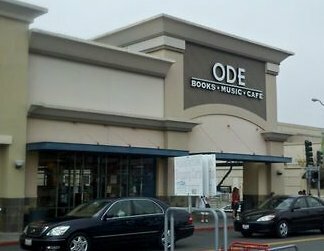 Martin Carmody has opened ODE bookstore at a former Borders location in San Francisco's Stonestown Mall, the New York Times reported. 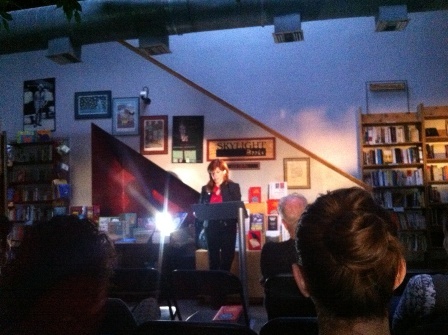 Although Carmody, who also owns two "As Seen on TV" merchandise stores, prefers newspapers and magazines to books, "he feels that he can read a market," the Times wrote, noting that he bought 40,000 remaindered books for approximately $50,000 and named the shop ODE because he "was able to make a new sign by just rearranging the letters.... I may not be able to make as much sales as Borders. But I will still be able to turn a profit." And he's already saved money on signage. Chelsea Green is donating 1,500 copies of its books to the Occupy Wall Street protesters in New York City for distribution and use in their education centers, according to the publisher's blog, which noted: "Chelsea Green holds a strong affinity for this movement. Through publishing the works of our activist-authors, we have long advocated a return to local economies, local production of food, the empowerment of individual communities to support themselves, and suspicion of the corporate-occupation of the U.S. government. We thank you, protesters, for standing up strong in the face of the myriad injustices this economic-government collusion has perpetrated on the 99%. We've got your back." 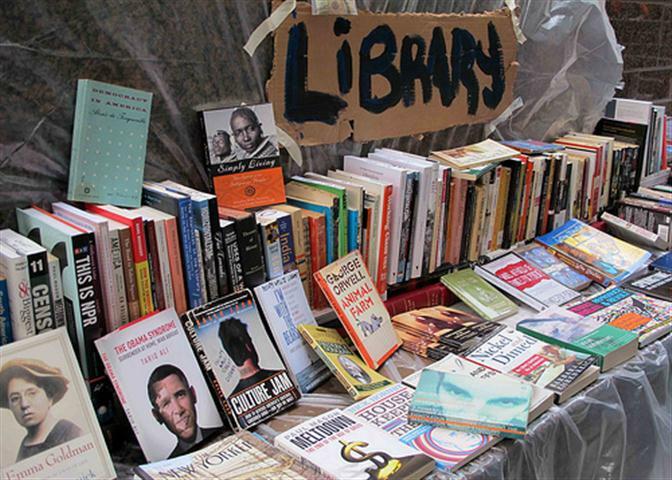 The Occupy Wall Street movement's People’s Library (Shelf Awareness, October 3, 2011) has a blog, Facebook page and Twitter account (@OWSLibrary), with information about the effort, including how to make donations. Simon & Schuster has launched Something to Read About, a new Facebook book club initiative that spotlights a "Book-of-the-Month" title and features moderated conversations about favorite books, a listing of authors from all S&S imprints who are available to call into reading groups, favorite book club selections, access to the publisher's library of book club samplers, daily updates and more. Something to Read About's first event, a real-time online book club discussion of Jaycee Dugard’s memoir, A Stolen Life, will take place today, 1-4 p.m. EST. On Sunday, Skylight Books, Los Angeles, Calif., lost power but stayed open--the store's namesake skylights provided plenty of illumination and staff used the wireless credit card machines they take to offsite events for in-dark-store transactions. But the staff worried about holding a scheduled 6 p.m. event with Elissa Schappell, co-founder of Tin House magazine and author of Blueprints for Building Better Girls (Simon & Schuster), as the sun set. Warned of the situation, Schappell was game, and the store's Twitter feed asked people who were attending to bring flashlights. Skylight manager Kerry Slattery noted happily that the event was "a reminder that we don't always have to have modern conveniences--like electricity--to have lively and successful bookselling experiences." Yesterday on Vermont Public Radio's Vermont Edition, independent booksellers Chris Morrow of Northshire Bookstore, Manchester Center; Claire Benedict of Bear Pond Books, Montpelier; and Penny McConnel of Norwich Bookstore, Norwich, shared their "strategies for remaining relevant in the digital age." Mark O'Connell wrote in the Millions that when people "think about the (by now very real) possibility of the retail side of the book business disappearing entirely into the online ether, they mostly tend to focus on the idea of their favorite bookshops shutting their doors for the last time." O'Connell loves a great bookstore as much as the next bibliophile, but he does not live near one in his Dublin suburb, and has discovered that the "small and frankly feeble set-up" of his local bookstore often yields unexpected treasures. "And this brings me to the point I want to make about bad bookshops, which is that they’re rarely actually as bad as they seem," he wrote. "In a narrow and counterintuitive sense, they’re sometimes better than good bookshops.... I have a slightly perverse fondness for these sub-par emporia, because they have often been the places where I have been forced to stray furthest outside of my usual buying patterns. Sometimes the situation in which our options are most narrowed is the one which ends up most widening our horizons. As great as it is to be able to choose whatever you want on Amazon, sometimes what you really want is to have no choice at all. Which is another way of saying, perhaps, that maybe there is really no such thing as a bad bookshop." Point Arena High School student Kailey Schmidt, 16, helped Joel and Jeremy Crockett, owners of Four-Eyed Frog Books, Gualala, Calif., produce their video "Froggy's Choice," which the Sonoma Press Democrat recommended, noting: "If you love neighborhood bookstores, perhaps you could use a smile, a touch of encouragement, after hearing that another fine local shop, Bookends in Sonoma, will close." If you're a traditionalist when it comes to books, prepare to look away. Flavorwire discovered inbook charging stations from Rich Neeley Designs, which are "are made using one-of-a-kind vintage books." Tomorrow morning on Good Morning America: Emeril Lagasse, author of Sizzling Skillets and Other One-Pot Wonders (Morrow, $24.99, 9780061742965. Tomorrow morning on the Today Show: Harry Belafonte, author of My Song: A Memoir (Knopf, $30.50, 9780307272263). Tomorrow on Dr. Phil: Duff McKagan, author of It's So Easy: And Other Lies (Touchstone, $26, 9781451606638). Tomorrow on KCRW's Bookworm: Justin Torres, author of We the Animals (Houghton Mifflin Harcourt, $18, 9780547576725). As the show put it: "This sequence of short stories, or prose poems, or vignettes (author Justin Torres is open to all three descriptions) adds up to a little novel about an underclass family. The narrator is a young gay writer who is looking for the words to capture the desperate love that holds together and suffocates three brothers and their parents, even when they don't understand one another." Tomorrow on Tavis Smiley: Jeffrey Sachs, author of The Price of Civilization: Reawakening American Virtue and Prosperity (Random House, $27, 9781400068418). Tomorrow on NPR's Talk of the Nation: Ariel Dorfman, author of Feeding on Dreams: Confessions of an Unrepentant Exile (Houghton Mifflin Harcourt, $27, 9780547549460). Tomorrow night the Late Show with David Letterman: Bill O'Reilly, co-author of Killing Lincoln: The Shocking Assassination that Changed American Forever (Holt, $28, 9780805093070). O'Reilly will also be on a repeat of the Daily Show tomorrow night. HBO Films has greenlighted Steven Soderbergh’s Behind The Candelabra for production. The project, which is based on the memoir Behind The Candelabra (My Life with Liberace) by Scott Thorson, "takes a behind-the-scenes look at the tempestuous relationship" between the legendary entertainer, played by Michael Douglas, and Thorson, his younger live-in lover, played by Matt Damon, Deadline.com wrote. Soderbergh will direct a script by Richard LaGravenese. "This is a story that’s going to surprise a lot of people," said HBO Films president Len Amato. "It’s funny, heartbreaking and always fascinating, and we are delighted that [producer] Jerry [Weintraub] and Steven brought the film to HBO." Behind The Candelabra will begin production next summer, shooting on location in Los Angeles, Las Vegas and Palm Springs. 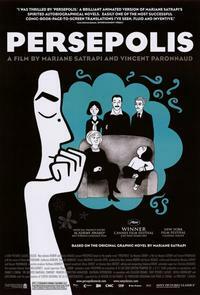 Police in Tunisia arrested 50 Islamist protesters "for an attempted arson attack on the Tunis offices of satcaster Nessma TV after it screened Persepolis," the film adaptation of Marjane Satrapi's graphic novel. Variety reported "the country's main Islamic party, Al-Nahada, condemned the protest, deeming the incident 'isolated.' "
"The deplorable actions of the small fringe of protesters this weekend speaks volumes about the dangers inherent in allowing any party not committed to dialogue, open society and freedom to gain power in the country," said Quinta Communications head Tarak Ben Ammar, adding: "Nessma TV has always stood for liberty and freedom of expression," Ben Ammar said. "It stood for this before the January 15 revolution, despite being threatened at times by the former regime, and it most certainly continues to stand for it now. We will always welcome different points of view and respect our differences but we will never bow down before the voice of intolerance or injustice." The Canada Council for the Arts announced the 68 finalists for this year's Governor General’s Literary Awards. which celebrate the excellence of Canadian writers, illustrators and translators in the categories of fiction, nonfiction, poetry, drama, children’s literature (text and illustration) and translation. Category winners will be named November 15, and honored November 24 at a ceremony in Ottawa. Notably absent from the shortlisted novels was Michael Ondaatje's The Cat's Table. Quillblog reported that the five-time winner of the award requested that his novel be withdrawn from consideration, stating: "This was done as I have received it many times and felt I should not enter a book again. The GG award has been very important to me and I greatly respect it and what it has done for our literature." The Kitchen Counter Cooking School by Kathleen Flinn (Viking, $26.95, 9780670023004). "Flinn's love of cooking led her to study at Le Cordon Bleu and her first book, The Sharper Your Knife, the Less You Cry. After helping a clueless cook shop for healthy food at the supermarket, Flinn realized that most Americans are lost when it comes to feeding themselves and their families. She began a project to transform the cooking and buying habits of nine volunteers through cooking lessons. This is a fascinating study of the reliance of Americans on pre-packaged food and the importance of cooking for health and nourishment." --Avery Dickey, Inkwood Books, Tampa, Fla.
Damascus by Joshua Mohr (Two Dollar Radio, $16, 9780982684894). "As Damascus, Mohr's third novel, is set in a bar, the comparisons to Charles Bukowski are inevitable. However, Mohr's worldview is far less caustic than Bukowski's. He gives readers a novel that pulls off the nearly impossible feat of breaking their hearts while lifting their souls and finds a lust for life in characters that have nothing left to lose. With Damascus, Mohr proves that he's the real deal: a talented writer who can take you to the edge without throwing you into the abyss." --Gerry Donaghy, Powell's Books, Inc, Portland, Ore. The Beginning of After by Jennifer Castle (HarperTeen, $17.99, 9780061985799). "After her parents and younger brother are killed in an accident, Laurel has to figure out how to grieve while continuing with her own life. Castle's writing is fluid and believable, and she handles complex emotions with style and grace. This is a strong, realistic teen girl book, with just enough crush-worthy romance to make you not want it to end." --Hannah Manshel, 57th Street Books, Chicago, Ill. Scenes from Village Life by Amos Oz, translated by Nicholas de Lange (Houghton Mifflin Harcourt, $22, 9780547483368) explores the sometimes hidden, often melancholy aspects of life in a fictional Israeli village. The Scorpio Races by Maggie Stiefvater (Scholastic, $17.99, 9780545224901) is a new YA book from the author of Shiver and Linger. Bonnie by Iris Johansen (St. Martin's, $27.99, 9780312651220) is the latest mystery featuring forensic sculptor Eve Duncan. The Maid: A Novel of Joan of Arc by Kimberly Cutter (Houghton Mifflin Harcourt, $26, 9780547427522) brings a personal and emotional focus to the savior of France during the Hundred Years' War. My Long Trip Home: A Family Memoir by Mark Whitaker (Simon & Schuster, $25.99, 9781451627541) is a personal and familial memoir from the son of an interracial couple who met during the 1950s. Lions of the West: Heroes and Villains of the Westward Expansion by Robert Morgan (A Shannon Ravenel Book, $29.95, 9781565126268) chronicles the expansion of the U.S. across the North American continent in the early 19th century. Suicide of a Superpower: Will America Survive to 2025? by Patrick J. Buchanan (Thomas Dunne, $27.99, 9780312579975) blames what he calls the downfall of the United States on the country's ethnic and religious diversity. It Is Dangerous to Be Right When the Government Is Wrong: The Case for Personal Freedom by Andrew P. Napolitano (Thomas Nelson, $24.99, 9781595553508) is an argument by the former judge and current Fox commentator against giving some powers to the federal government. Riverhead publisher Geoffrey Kloske makes his acting debut in a trailer for You Had Me at Woof: How Dogs Taught Me the Secrets of Happiness by Julie Klam (Riverhead). In the trailer, Klam pitches Kloske the idea of doing a trailer for her book with actor Timothy Hutton, who shows up for the meeting and spends the whole time on a phone call with someone else. Hilarious. 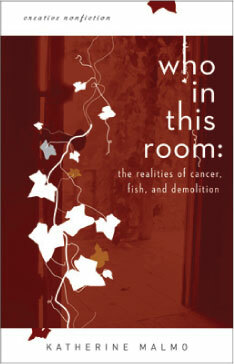 Katherine Malmo is the author of Who in This Room: The Realities of Cancer, Fish and Demolition (Calyx Books, October 11, 2011), a collection of creative nonfiction about cancer--but also about joy found in lemon trees, fly fishing, welding and demolition. Her work has won awards from the Bellevue Literary Review and the Pacific Northwest Writers Association. Katherine currently lives a cancer-free existence with her husband and two adopted children in Seattle. 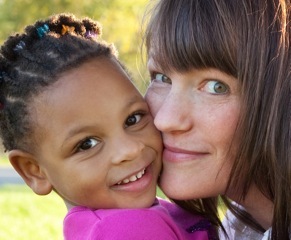 She occasionally writes about adoption, race, health and living a low-toxin life at Hysterical Mommy. Your Three Year Old: Friend or Enemy by Louise Bates Ames and Frances L. Ilg. If they replaced "or" with "and," it would make this the truest title ever written. Pretty soon I'll have to move on to Your Four Year Old: Wild and Wonderful. These books are like therapy, assuring me that our daughter, who spends an exorbitant amount of time digging holes for monsters under the deck and filling them with under-ripe plums, is totally. completely. normal. Also, The Great Fire by Shirley Hazzard, The Emperor of all Maladies: A Biography of Cancer by Siddhartha Mukherjee and Joy for Beginners by Erica Bauermeister. The Wonderful Electric Elephant by Frances T. Montgomery. This book was published in 1903 and in my great-grandmother's book collection. It's about a man named Henry who builds a mechanical elephant and walks across the planet, under oceans and over mountain ranges. There are stairs that drop down from the elephant's belly and inside is a living area and navigation station full of knobs and switches so Henry can make it move. There's a peephole so he can see out and I think he can pick things up with the trunk and bring them inside to examine. The book is the story of his travels, and it is captivating. However, it was written in a different time and, I found out much later, that it is quite racist and sexist. My mom read it aloud to us before bedtime and skipped over areas with offensive content. Someone should write a contemporary version. Writers, take note. Pam Houston, Junot Diaz, Jeffrey Eugenides, Abraham Verghese, David Sedaris. I can't say I faked reading it, but I can say that I pretended that I liked it. The Notebook, The Proof and the Third Lie by Agota Kristof. What is the truth? Who cares. This is the most difficult question for me to answer. I'm always talking about books. This is kind of me: Portlandia: Did You Read? 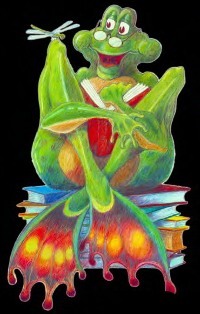 I want to devour books. Anyway, it's hard to choose just one. I frequently push Barrel Fever by David Sedaris. It's his first and funniest. I'm always recommending Refuge by Terry Tempest Williams. Beautiful book. In an act of real-life foreshadowing, I read it just before my diagnosis. I also love Sweethearts by Melanie Rae Thon. The Collector, Jack Nisbet. A solitary pinecone. Lovely. I'm going to go pretty literal on this one. Dr. Susan Love's Breast Book by Dr. Susan Love--700 pages of everything you could possibly need to know about breast health and breast cancer. It helped me understand my Inflammatory Breast Cancer diagnosis and laid the foundation for my treatment and care. It also terrified and terrorized me with its survival rates and statistics. "And here we aren't so quickly: I'm not twenty-six and you're not sixty. I'm not forty-five or eighty-three, not being hoisted onto the shoulders of anybody wading into any sea." Jonathan Safran Foer's Here We Aren't, So Quickly in the New Yorker, June 14 & 21, 2010. The Brief and Wondrous Life of Oscar Wao by Junot Diaz. Heaven on earth, that book. Have you ever thought about how balloons came to dominate the Macy's Thanksgiving Day Parade? From this day forward you won't be able to look at them without thinking of Tony Sarg. Caldecott Honor artist Melissa Sweet (A River of Words) sets her miniature stage with brightly colored wooden blocks, spools of thread and handmade papier-mâché dolls, revealed by a cherry-colored patterned curtain and a pulley system that announces the title of her presentation, Balloons over Broadway. One tiny orange-capped character offers a helpful tip, "Sarg rhymes with aargh!" Tony Sarg is a born problem-solver, whose solutions brim with wit and an overarching sense of play. He once said he "became a marionette man when he was only six years old," rigging up an elaborate pulley system so he could complete his morning chore--feeding the chickens--while remaining comfortably in his bed. Sweet, who used cut-paper collage and colored pencil so effectively in her Caldecott Honor illustrations for A River of Words, here creates the effect of cartoon panels with her skillful use of cut paper, each framing a scene that contributes to the larger arc of Sarg's story. In The Boy Who Drew Birds, Sweet proved she could pack a lot of information into the illustrations of a picture-book biography, but here she goes a step further, incorporating into her collages the materials that Sarg would have used in the creation of his puppets: fabrics, cord, paper and pencils. Sweet traces Sarg's rise from London, where he made puppets from wood, cloth and strings, to his performance with the Tony Sarg Marionettes on Broadway in New York City, to the Macy's team commissioning a "puppet parade" for its holiday windows--where he would then invent the now-famous balloons. A climactic spread demands that readers rotate the oblong book for a vertical view of an elephant soaring above the skyline. 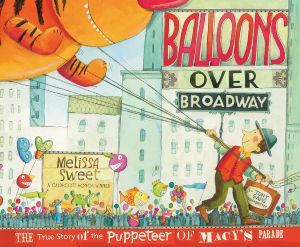 The author-artist uses spare prose as one might poetry: "And from that day on, every Thanksgiving morning, crowds have lined the sidewalks of New York City to see what new balloons would rise to the skies for Macy's famous parade."